Avantika University, India’s first design centered university enters into an academic and institutional partnership with Cambridge University Press and with Ahhaa- Virtual Reality Inner Growth Platform. These collaborations will facilitate the young learners with world-class, well-researched learning materials. From L to R: Ms Diane Bacchus Quddus, Co-founder, Ahhaa, Mr Ashwin Srisailam, Co-founder, Ahhaa, Dr Sanjay Dhande, Chancellor, Avantika University, Mr Amit Baveja, National Sales & Marketing Head – English Language Teaching & Exams, Mr Ajay Pratap Singh, Business Head – Academics. With a blend of traditional and modern resources, Avantika education will equip students with a holistic experience as part of the foundation and subsequent modules. As the first step from this Association, Cambridge University Press India- a department of one of the world’s leading universities will certainly enable Avantika learners with unlimited access to the high quality guaranteed content & learning solutions. They have a strong track record of successful collaboration with universities, institutions, and ministries in India and across the globe, offering support to several initiatives. 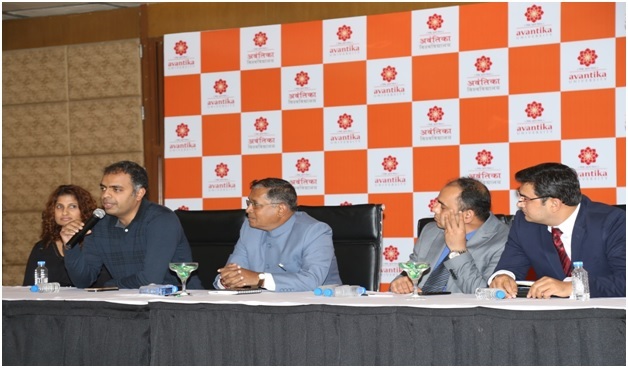 This partnership intends to provide educational resources and development programs that empower students and teachers at Avantika University with a better learning experience. It will provide avenues for the new age students at Avantika with different global exposure and opportunities. As the preferred partner, this alliance will equip Avantika learners with the most relevant academic content and English language learning solutions both in print and digital formats. Avantika University joined hands with Ahhaa to help learners master inner growth and self-development by driving their personal and professional growth and happiness to deal with daily life challenges. Ahhaa is inspiring the best of humanity through technology and synergy between Avantika & Ahhaa will sure be a deep, long, holistic journey. Ahhaa has the passion for decoding inner growth for one and all and help people give awesome responses to real-life situations. With this collaboration, Avantika will become the first university in the world to bring in a whole Ahhaa specially designed "Life Design" curriculum for students to experience transformative mind growth journey. In-line with Avantika’s vision of creating enlightened citizens, Ahhaa will fully contribute to developing student’s inner growth. This platform will be available for all students at Avantika University. Ahhaa will help improve the core skill of critical thinking by connecting better with one’s internal side, through a series of reflecting and independent thinking based initiatives. Significantly, Ahhaa will also create a novel "Ahhaa Space" inside Avantika’s expansive campus at Ujjain, Madhya Pradesh for students and faculty growth and academics. The installation of Ahhaa Space will begin from March 2017, first week onwards. It will offer the faculty members to understand & experience it first and subsequently it will be all ready for the students to start their unique journey towards Awesome-ness. The Ahhaa resources will encourage students and teachers to adopt a new style of introspecting life and find answers to not just what, but how and why about life. With these collaborations, Avantika is confident to endow both faculty members to train and offer students with opportunities to become quality professionals who are skilled for global opportunities. Avantika University’s core vision is committed to building the next generation of Design-Technology-Innovators and Knowledge leaders. With their creative thinking and experimentation based approach, Avantika is confident of creating change makers who will transform societies-at-large. Disclaimer: The information provided in this Notification is solely by Avantika University., Jagranjosh.com bears no representations or warranties of any kind, express or implied, about the completeness, accuracy, reliability, suitability or availability with respect to the information. Individuals are therefore suggested to check the authenticity of the information.